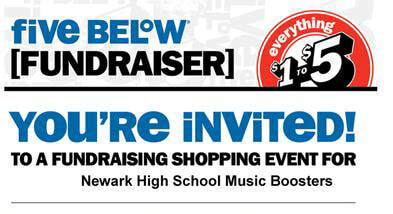 Shop at Five Below in Christiana Town Center in Newark, Delaware from Dec. 1 through Dec. 16, 2018 and they will donate 10% of the purchases made by members of our group during our fundraiser event to the Newark High School Music Boosters. You must present the flyer to the cashier at the time of purchase. They do not allow flyers to be handed out in the store or shopping center and any time before, during or after the event. ​Click here to print several flyers to give to your family and friends! 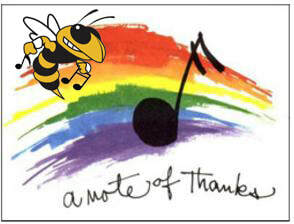 Our heartfelt thanks to you and to Five Below for supporting our music programs and our student musicians!